The Vernon is the first room you reach upon entering the mansion, and is a great space for that informal pre-meeting chat, danish pastry and cup of coffee. 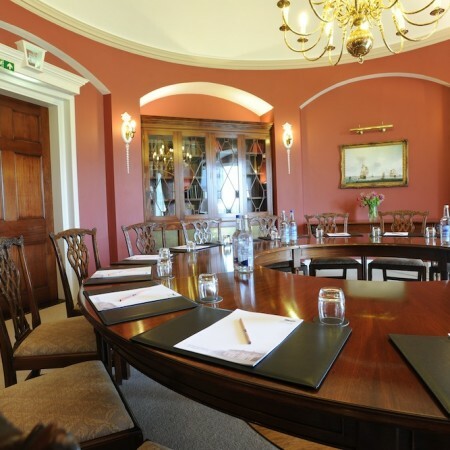 Adjoining the Harland, these two beautifully decorated Mansion rooms can easily accommodate a complete meeting package for up to 65 people. 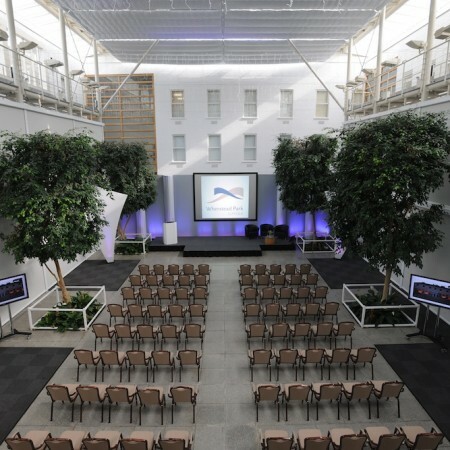 For a larger conference, the Atrium can accommodate up to 350 people. 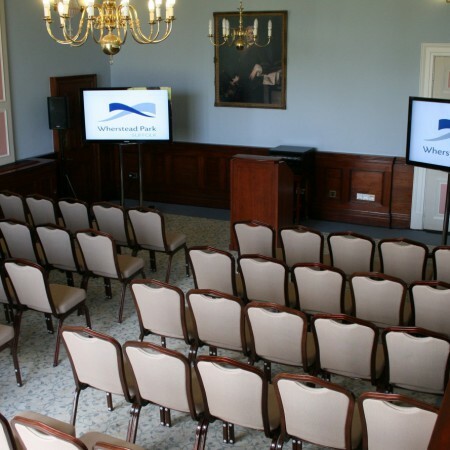 Plenty of space, top-of-the-range AV and a dedicated technician means your conference will go off without a hitch. 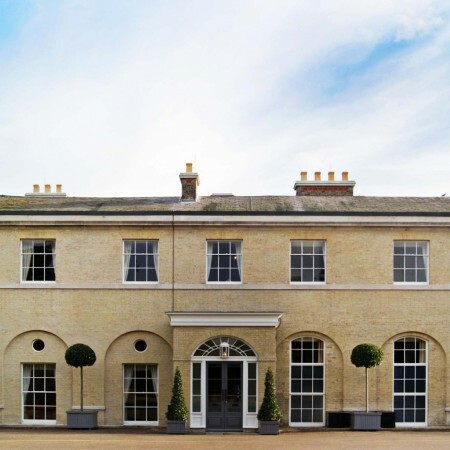 Seats up to 16 in a circular pattern and features a balcony overlooking the gardens and grounds. Perfect for board meetings with a touch of class. From Board meetings and presentations to training days, the George Hines is the perfect choice. 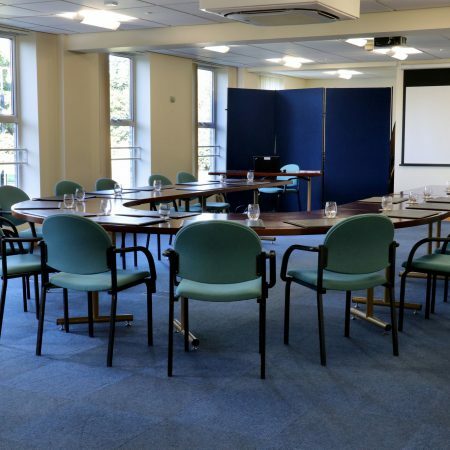 For presentations, we provide a laptop, speakers and projector providing a practical space for you to host your event.